You may have noticed (but probably not) that I have been absent for the last week or so. I admit, I am still quite tired (a little bit of an understatement) after my Morocco trip but I have not just been hiding in my bed catching up on sleep. What I have been doing is almost as restorative though. I have been, for the last week, on a canal boat up in Shropshire. I think it was one of the most restful things I have ever done. I have spent a week trying to find my ‘mojo’ which has gone missing since returning from Morocco. I think I have found it! The week has been spent doing things slowly: travelling on the water, reading, walking. Everything that I have done for the last week with Mr Blonde One and our two friends Mr and Mrs Dunkin has been done at a reduced pace. We have laughed a lot, rested a lot and slowly meandered through some of the canals of Wales and Shropshire. I am very pleased (and a little relieved) that I am back up to full steam ahead and am ready for the new term and all the interesting (and probably nonsensical) things that it will bring! That is a stunning photo when enlarged. I see you have not resized it. It is worthy of entry in a competition – pity you’ve missed the deadline for the Countryfile calendar. I have ever so slightly tweaked the exposure so there is a bit of light on the boat, but that is just personal preference. Thank you Conrad. I would like to say that I spent time getting it right but actually I just did a ‘point and shoot’! 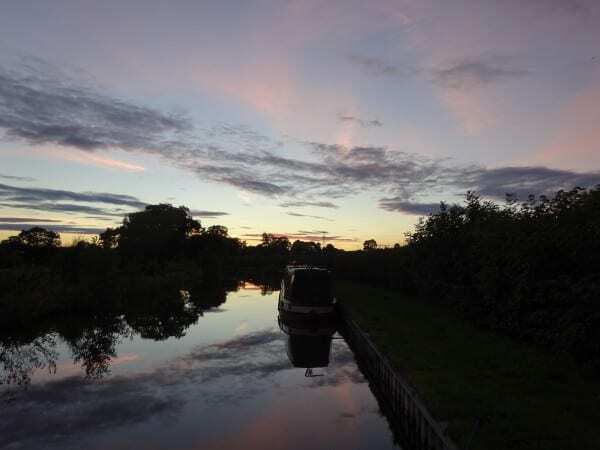 Shropshire Union is a most beautiful canal – did you get onto the Llangollen? Seeing those lovely reflections in the still, still water brings back memories. Miss my little boat. We did get onto the Llangollen and also the newly opened Mongomery. All were beautiful!